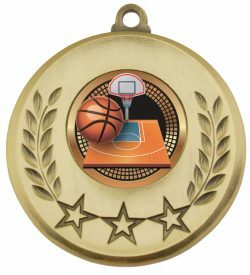 Econo Series of medals are perfect for all budgets and cover wide range of sports and activities. 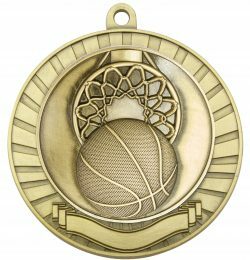 Basketball medal design features a detailed ball and net combination. 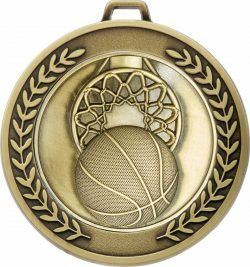 Available in gold, silver and bronze – panel for engraving on back of each medal. Ribbons available in all colours.